For those strongly against the idea of ever queueing for your food, Teppei Syokudo, a derivative of the ever-popular Teppei in Tanjong Pagar; one which credentials are worthy of its 2-3 month long wait list for its omakase; would be your best choice to get a gist of the quality sans the outrageous waiting time. 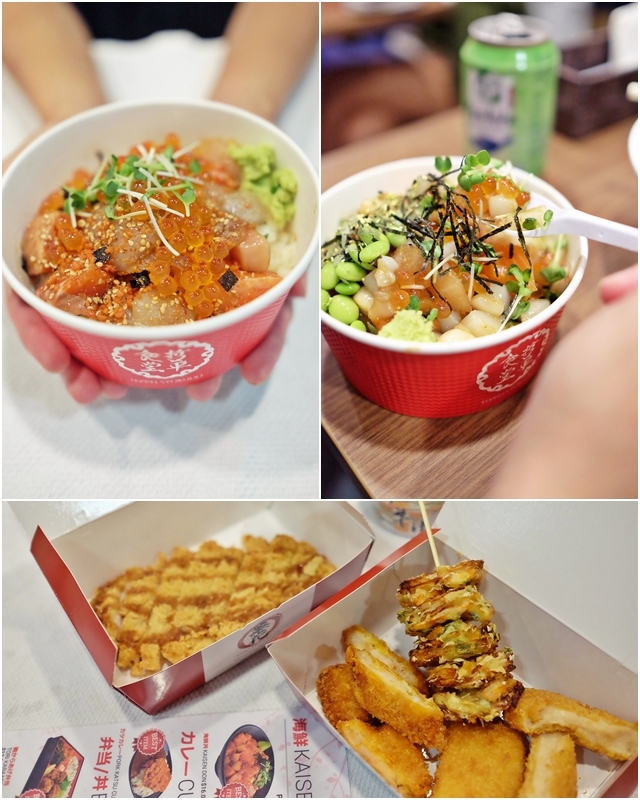 Located in the Basement 4 of Ion Orchard, Teppei Syokudo is causing quite a stir in the F&B scene, conjuring dreams of DIY Kaisen dons at really affordable pricing. Having quite the penchant for chirashi dons (as you can see from my top 5 list) the trip was mandatory as it was painless to the wallet. First, pick your size ($8.80 for S, $15.80 for M and $19.80 for L); then the base of either sushi rice or salad. Next up, choose the basic seafood ingredients ranging from salmon to swordfish, tuna and scallops (2 choices for S, 4 for M, 6 for L) and lastly get your add ons. This portion gets a little tricky as items such as avocado (which we later learnt was somewhat justifiable since an entire avocado went into the mix) would set you back at $3.80 whilst other worthwhile picks such as Unagi and Ikura proved to better value for money despite its monotonous color scheme. 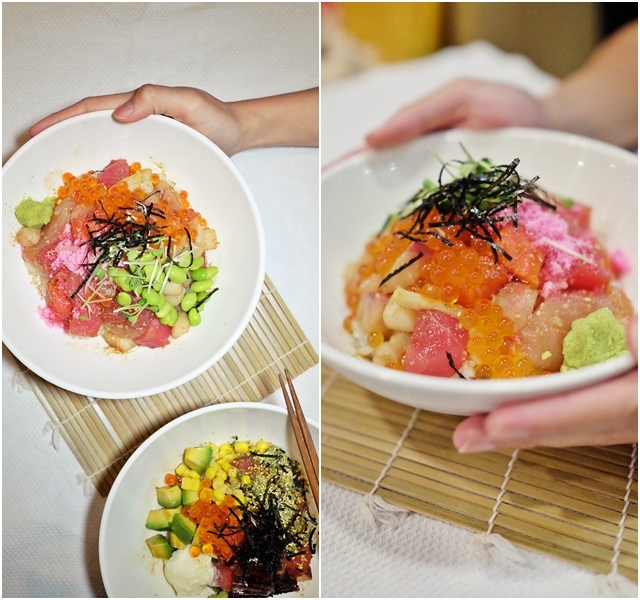 Proceed to the counter to pass your chit sheet to the counter staff and VOILA!, you'll be presented with your own uniquely created kaisen-don within minutes. His order of Medium Bara Chirashi with Rice, Salmon, 2 servings of Swordfish and Yellowtail topped with Salmon Roe and Mentaiko Seasoning added up to a peaceable $20.40, with no extra GST or service charge implemented. This proved to be ultimately satisfactory, not so much for a starving boy, who would probably need to pop by the Nasi Lemak store next door after for a follow-up, but rather for a light bite focused on quality. 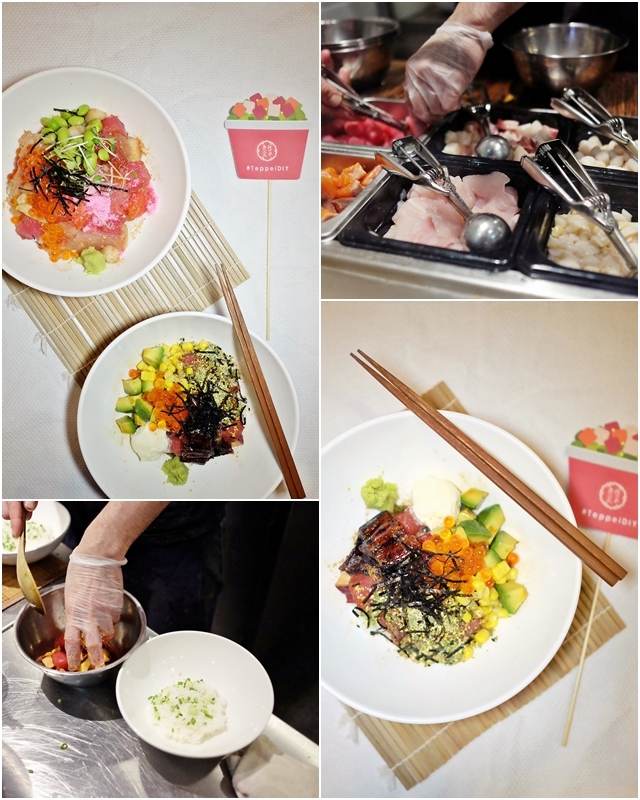 An added bonus that aids in pimping up the rice bowl, is the fact that all kaisen dons include the regular garnish of goma, ikua, special sauce, wasabi and kaiware (sprouts) with an option for an additional portion at $0.50. My salad option which amounted to the same figure pleased as well. My only gripe being the rather pathetic choice of lettuce solely in the salad foundation. Perhaps if some other greens were thrown in for a color and textural contrast, then I would deem this as a viable alternative against the more delicious sushi rice. Plumped up with Salmon, baby Scallop, Yellow Tail and Swordfish with a side of Tamagoyaki (+$3.80) and Corn (+$0.80) - the exuberance from receiving such a pretty bowl is unavoidable. Tiny scallops tossed in a soy dashi stock are extremely toothsome whilst the evenly seasoned Japanese rolled omelette adds bursts of sunshine to the constitution. Do note that there are other ala carte items on the menu as well should you want to boost your meal. Crab Cream croquette ($3.80) and Chicken Katsu served with Japanese curry serve to lift the jaded tastebuds from the onslaught of raw seafood..
My initial enthusiasm for the outlet was proved be in line with their visions. Somewhat affordable kaisen-don (just as long as you exercise a bit of self-control) at an accessible location to satisfy those sashimi cravings. Go try it soon! 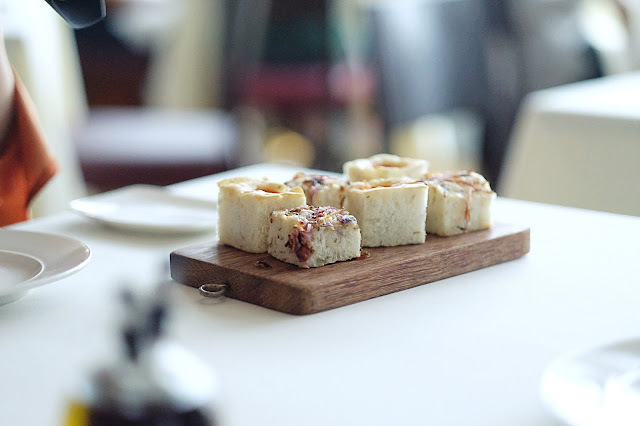 My [One-North Eats List]: Timbre+ and More!